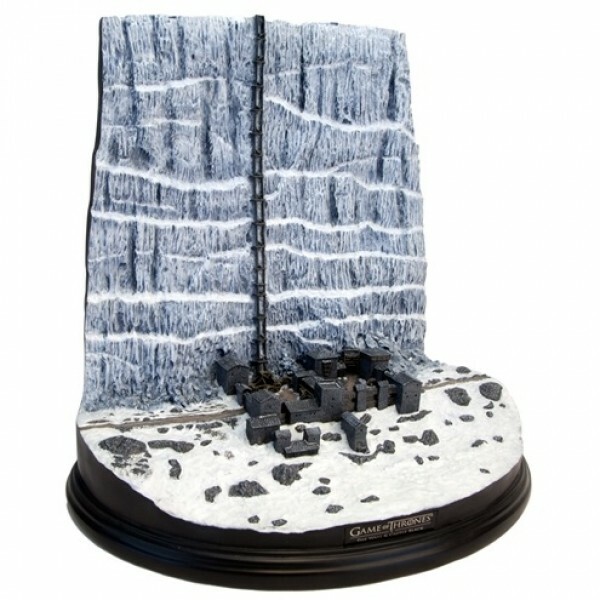 The Wall is a colossal fortification constructed millennia ago under the direction of Bran the Builder to defend the Seven Kingdoms. 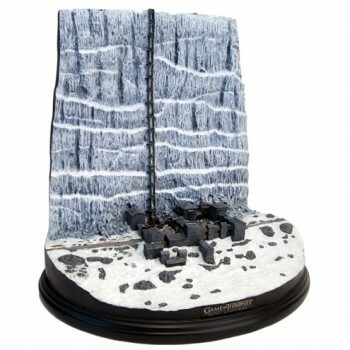 Immense in size, the wall is built from solid ice and spans The Realm at its northern Border. 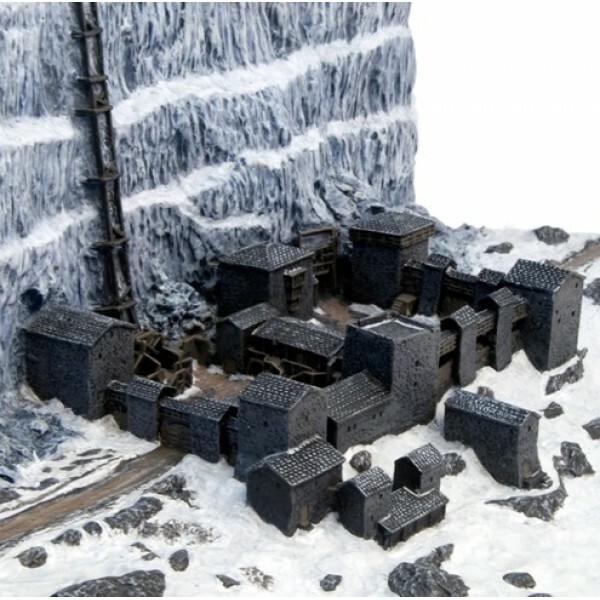 It is garrisoned by several structures along its length which are defended by the Sworn Brothers of the Nights Watch who maintain their headquarters from one of those structures, the remote and isolated stronghold, Castle black. Members of the Night's Watch dress entirely in black and swear an oath of duty and renounce all past allegiances and birthrights. Joining the Watch and ‘taking the black’ also provides absolution for past crimes and immunity from any further punishment. 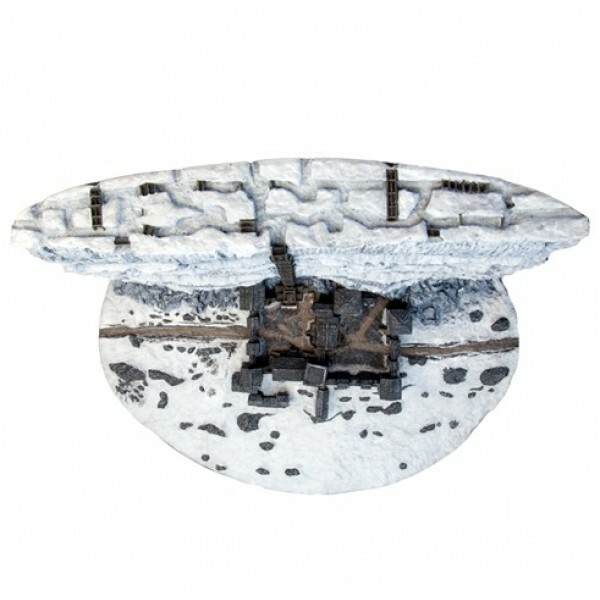 Cast in heavyweight polystone and hand-painted, this highly-detailed piece captures the immense size of The Wall and Castle Black in an unparalleled level of screen-accurate architectural detail at a scale that and at a size that perfectly compliments our previously released Winterfell Desktop Sculpture. To create this iconic piece, HBO provided our designers with access to the original visual effects files used to create various props and sets from the series. In addition, scenes from the show were carefully scrutinized for fine details and nuances. A master pattern was then meticulously hand sculpted to create a truly immersive experience. 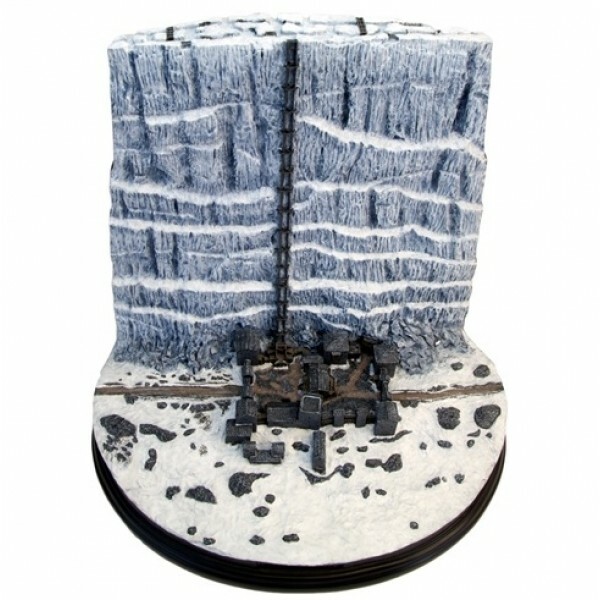 Standing an impressive 12.5” tall, Castle Black, the elevator and a section of The Wall including its battlements are perfectly captured at 1:700 scale. 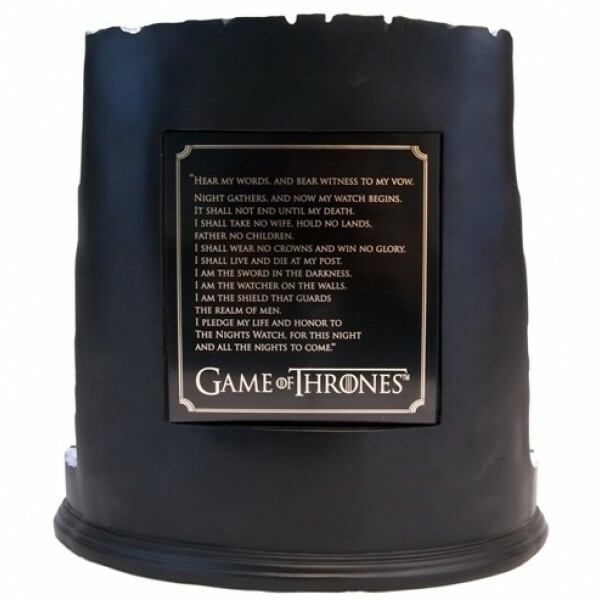 The back of The Wall is decorated with a metal plaque inscribed with the Night’s Watch oath. 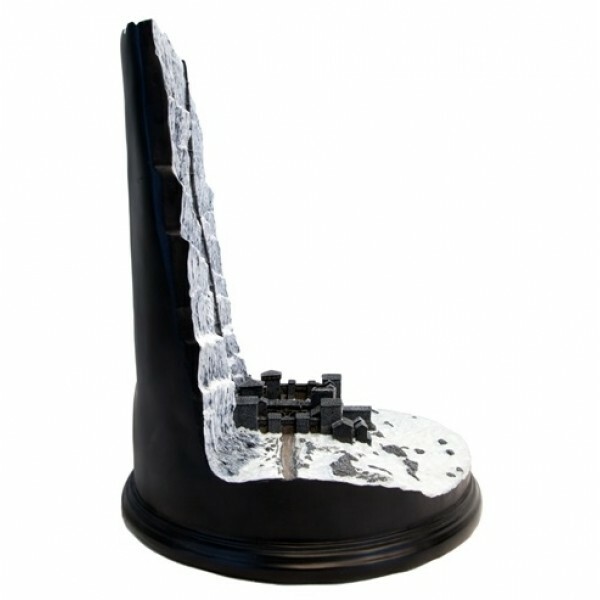 Each piece is individually numbered and includes a certificate of authenticity.